Marvel have done an amazing job of putting together the Guardians of the Galaxy project, everything from the cast to putting James Gunn at the start make me want to see this movie a dozen times in the opening weekend. When this was first announced I thought it was just a filler movie for the Marvel franchise but it looks like they have put together another Iron Man. The first Iron Man movie was missed by a lot of people as RDJ hadn’t done a movie for a while and not many people really knew who Iron Man was. The film was a success on it’s own awesomeness and it looks like Guardians of the Galaxy will have a similor impact. With James Gunn Directing I wasn’t too impressed with only seeing his Scooby Doo movies but after recently watching Super on Netflix which he wrote and directed I’ve been really impressed with his work. 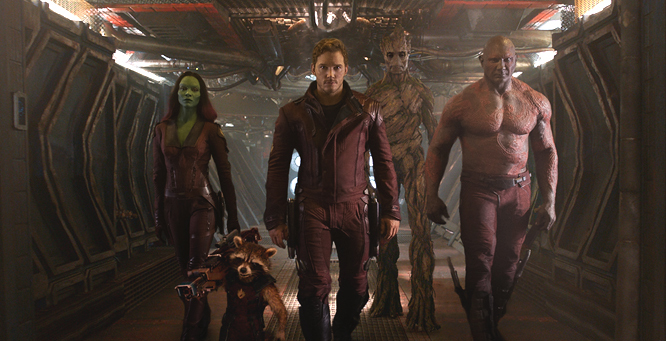 The Guardians of the Galaxy Release date is set for August 2014 and a sequel has already been planned for 2016.